Establishing successful sustainable research and science education programs is Dr. Michael Lichtenstein’s career focus. In 2001 he led the team that created the San Antonio Masters of Science in Clinical Investigation Degree, the first non-departmentally based program at the UT Health Science Center. 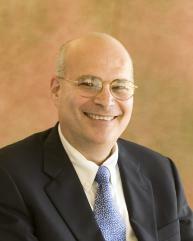 In 2011, Dr. Lichtenstein coordinated development of a joint Translational Science PhD between the UT Health Science Center and three other academic components of the UT System (UT San Antonio, UT Austin, and UT School of Public Health). As technologies and learning platforms/methods rapidly evolve, Dr. Lichtenstein is excited in contributing to the growing experience and body of knowledge focused on how to prepare a diverse workforce for successful clinical and translational science careers. Coveted federal translational research award comes to S.A.